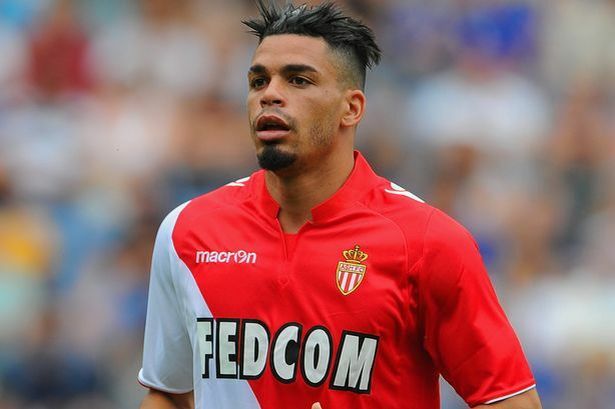 Newcastle United are set to seal a deal for Monaco striker Emmanuel Riviere this week – before they go hunting for a more senior striker to shoulder the goalscoring burden. United have agreed terms with Feyenoord for £5million man Daryl Janmaat, who will seal a switch to Newcastle on Tuesday – provided he has recovered from the virus which prevented him from jetting into Tyneside for his medical yesterday. And tomorrow they are set to clinch a deal for 12-goal Monaco hitman Riviere, who will join a striking pack that will be beefed up further by Newcastle in the coming weeks. He will go straight into the first-team mix but Riviere is seen as a talent to develop, with Newcastle eyeing others. They remain on the trail of several targets, with Andy Carroll’s name thrown into the mix by an intermediary in recent weeks. But United have not made a formal approach for the forward and sources close to Carroll have rubbished talk of him leaving Upton Park. His wage demands would, of course, be an issue at a club where he would easily be the top earner. Instead United’s “three or four” targets are understood to be based abroad, with the club continuing to monitor Lyon striker Alexandre Lacazette despite being quoted a huge fee by the Ligue 1 outfit. Two are understood to have played in France. Although strikers remain a burning issue for Newcastle, they believe they have made one of their biggest signings in recent seasons by landing £10million forward Remy Cabella. A beaming Alan Pardew even thanked himself for his part in pulling off a deal that Newcastle had been working on for weeks. “It’s part of a rebuilding process and a big part of it,” Pardew said. “A lot of work has gone into his signing and I’d like to pay tribute to my staff, in particular Graham (Carr) and myself, Lee (Charnley), Mike (Ashley) and everyone on the board. “We’ve worked really hard on this and he’s a player we think is important, which is represented in the fee and represented in his commitment to us. I’m just looking forward to seeing an exciting talent.